Recently, Rosie Weinberg, Natalie Zanecchia, and Kathi Bahr – 3 local artists embarked on a call for artists. 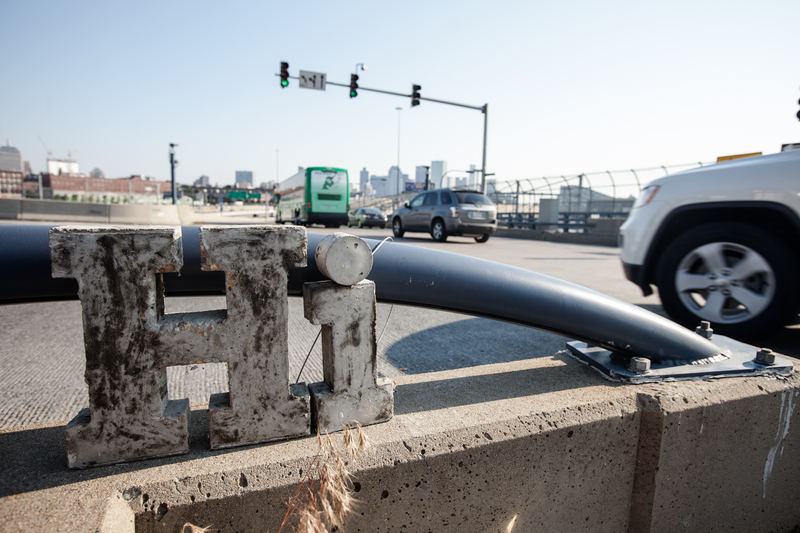 The trio submitted a proposal to Common Boston for an installation of 15 concrete Hi’s along the neighborhood boundary of the South End – both delineating the space, and welcoming people. They spent a little over a month researching, making the molds and casting the letters. A total of 13 signs were installed on the boundary and 2 within the South End. SHIFTboston asked Rosie, Natalie, and Kathi their thoughts on how the project went and where they think the Hi’s may be now. SB: What inspired you to create Hi signs around the South End? 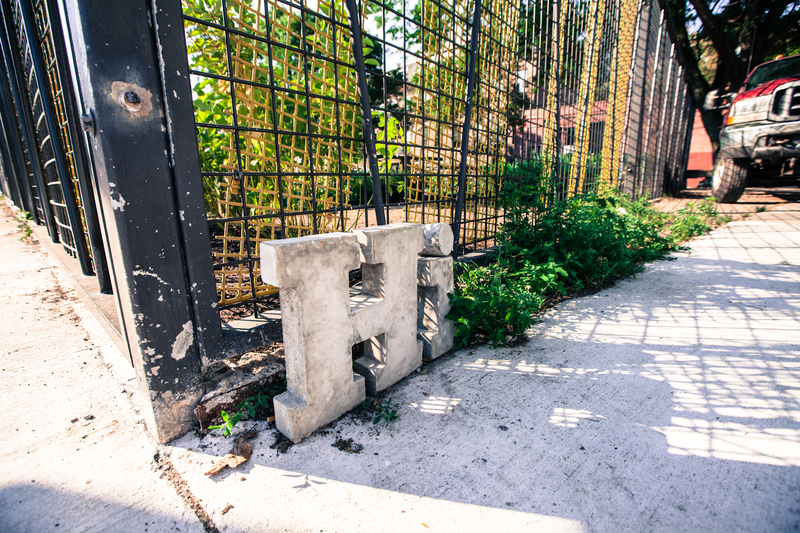 We were interested in experimenting with casting concrete and sculptural typography. SB: What makes the South End the ideal neighborhood for you installation? The location did add a level of depth to this project. Boston is a city of neighborhoods, and something we learned by placing these letters on the border of the South End was how this neighborhood really has so many different aspects to it both socioeconomically and physically – the points on the west are marked by the southwest corridor park, the northern and eastern borders are delineated by the Mass Pike and I-93, respectively and the southern border by Melnea Cass Boulevard and Northeastern University. 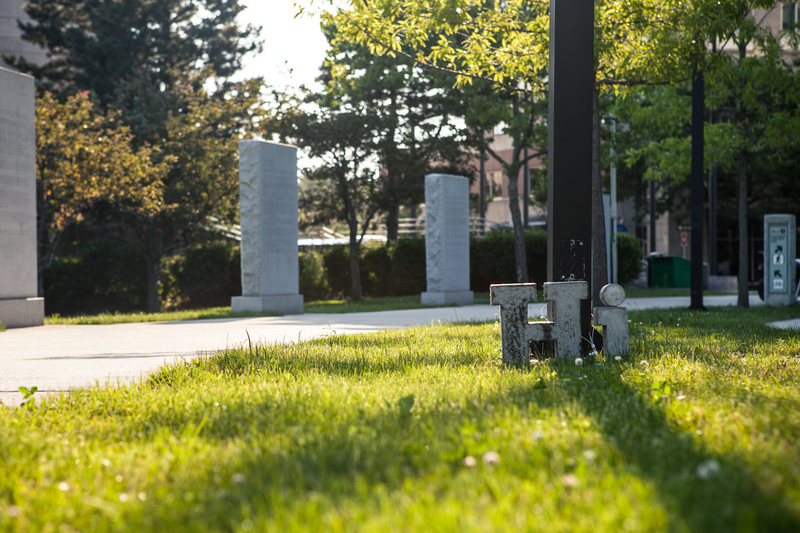 SB: How many “Hi” sings did you find after the installation and where do you think they are now? We’re not sure where the missing ones went – but hopefully they are sitting on someone’s mantlepiece. Three of the “Hi’s” went missing, four were destroyed, and eight faired quite well. We really enjoyed all of these outcomes, but obviously appreciated it when people loved the letters. A man near the Hamilton Inn took care of the letters, and he was such a lovely guy, we ended up giving him that pair. We met a woman playing tennis in the southwest corridor park tennis courts who was effusive about the addition to the environment that she sees every day. We found these reactions very rewarding! This project has the potential to evolve and be applicable to other neighborhoods and we would love to do more installations in the city.